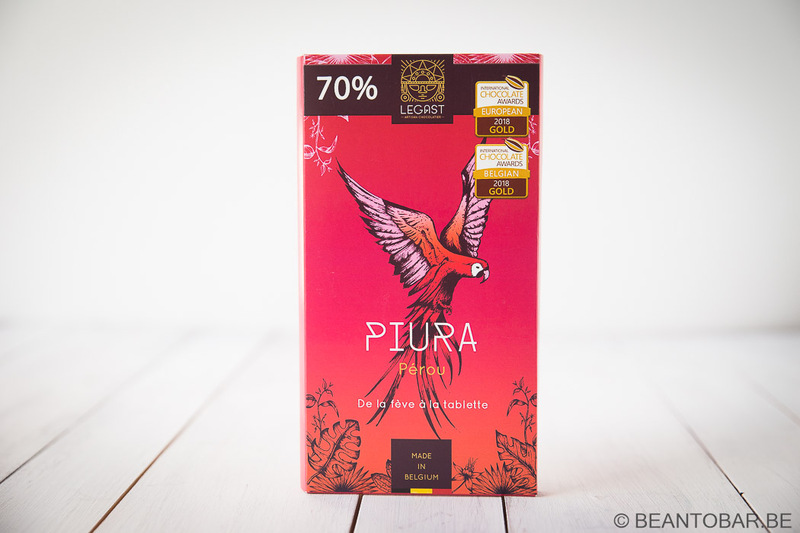 Thibaut Legast is one of the rising stars if the Belgian bean-to-bar chocolate scene. His work didn’t go unnoticed by Pierre Marcolini as he wrote his book on Belgian Chocolate – bean-to-bar generation. 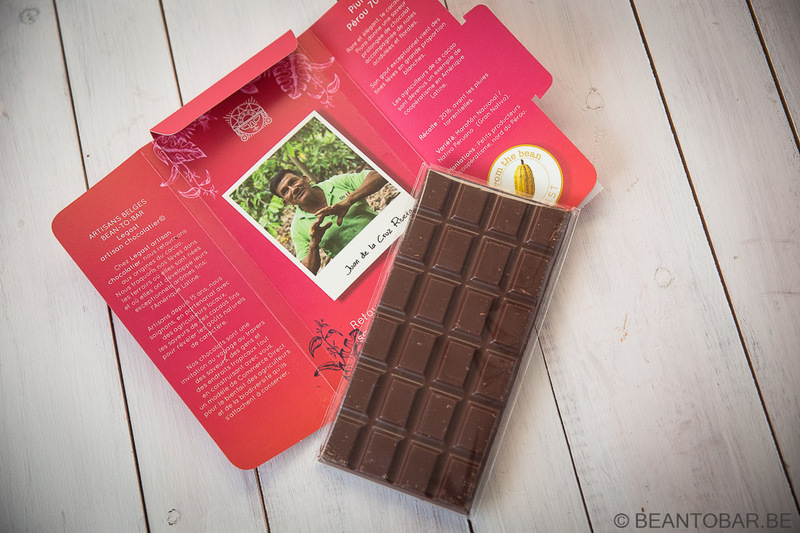 After a former less succesful first adventure in making chocolate from the bean, Thibaut was invited to Colombia to discover the local farmers who grow cocoa beans. Luckily he accepted the invitation as he would meet his soon to be partner Patricia Forero, who helped Thibaut in really understanding cocoa and get in touch with suppliers who could offer the quality of cocoa needed to make splendid chocolate. The pieces of the puzzle fell together and today Thibaut and Patricia run an amazing looking chocolate shop and bean-to-bar production atelier in Braine-Le-Compte, Belgium. 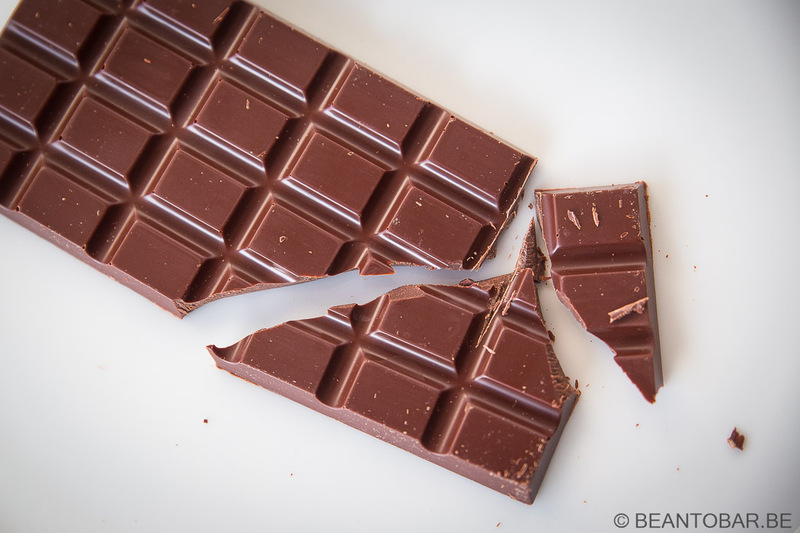 Any chocoholic will be thrilled by the products Legats offers – from pralines up to bean-to-bar chocolate bars. Today we focus on his interpretation of Piura Peru. This particular origin is made with cocoa with a very high percentage of white beans. Noted as Marañón Nacional/Nativo Peruano (Gran Nativo). These beans are renowned for their fruity flavors. Nacional cocoa also holds a promise of floral notes. Let’s find out what they become in the skilled hands of Thibaut and Patricia. Holding this bar in my hands, the cardboard box containing it looks amazing again. Colorful it shows a parrot in full flight. The Legast logo, percentage and origin are displayed on a pink to orange background. We’ll forget about the two gold awards mentioned on the front – we need to stay objective. Inside we are met by a nice bar of chocolate. On the sleeve, much more info is to be found. A picture of Juan de la Cruz Rivera for instance, one of the people growing the cocoa for this chocolate. On the left side, info on Legast and their vision on chocolate. On the right, more on the origin, the type of bean and the harvest used for this bar. More specifically, it is the 2016 harvest, before the torrential rains. This is just the beginning. The box opens up to reveal the chocolate, as if it was a book. Info from side to side and a photo of the farmer responsible of the plantation the cocoa originated from. It gives a personal touch to the tasting experience. The bar, tucked in a cellophane wrapper, is big. At 80 grammes, it is generous and appealing. The chocolate bar looks straightforward (rectangular pieces, no special design), but it shines like a diamond and smells amazing. Taste: Legast’s Peru bar starts of with what has become a typical Piura touch to me. A whiff of floral liquorish aroma’s, brief and ethereal. Next a flash a roasted nutty roll in, before chocolate hits the tongue. Joined by a very nice fruity acidity. Mild and well behaved, fresh apricot, passion fruit and peach comes to mind. As the flavor keeps evolving, the fruits subdue and glide into more chocolate, brown sugar, toasted bread and molasses before ending with a slight lactic flavor and coffee notes. Somehow, the chocolate releases wave after wave of this flavor profile as it melts. Starting of delicately, it builds in momentum and turns more full bodied near the end of the melt. The after flavor stays a round for a long time and could be described as a nutty chocolate-coffee dance. The melt of the chocolate is perfect. Never clingy. The snap is bright and clean. On the very end of the melt I detected a bit coarser particles, but nothing to worry about. This Piura interpretation remains light and playful. It showcases familiar flavors, but Thibaut found a way of keeping them in balance and without ever becoming overwhelming or predominant. Nimble and playful, it is a chocolate which will please a lot of people. Enjoy the complex flavors and elegant profile it offers and indulge your soul with the heart warming experience of savoring this bar.